Over the past couple of months, there have been hot debates concerning the privacy of the world’s most popular social media platform, Facebook. In fact, the CEO of Facebook Mark Zuckerberg appeared before the US Congress and confirmed openly that there was a massive breach of user data. He also elaborated the measures they had set up to ensure that a similar mistake does not reoccur in the future. His appearance happened less than a month after the viral news about the data breach manipulated by Cambridge Analytica. Although there was no real proof that the data breach did not influence the outcome of the 2016 US Presidential election, the fact remains that the data firm is affiliated to both President Trump and Russia. This blog post will discuss all there is you need to know about your privacy on Facebook. Before posting anything, you can use the audience selector tool with different options like Public, Only Me, Friends of Friends, and etc. This is supposed to help you to control who can see your posts. Public: your Facebook post will be viewed by all users when they visit your timeline. Friends: the post can be seen by your Facebook friends. Friends of Friends and Public have no access to the post. Friends except…: the post can be seen by only Facebook friends with the exception of those who are manually excluded. Friends of friends, the public, and those exempted are restricted from seeing the post. Specific Friends: this option restricts specific friends from seeing your Facebook posts. Only Me: you are the only one who can see the post. No one else is allowed to see them, not even your close family members of friends. This option is commonly used when one wants to use the Facebook account as a bookmarking tool. Organizing your Facebook friends into lists will simplify the process of sharing your posts to a pre-selected group of people. The post can only be seen by people on the list. Quickly create a new list today by going to the Explore section of Facebook and open the Friend Lists feature. Did you know that Facebook allows you to change the audience of your old posts with a single step? This is important in keeping your Facebook post memories to yourself or to your small circle of friends and family. Quickly go to Settings, Privacy, Limit The Audience for Old Posts on Your Timeline, and the Limit Past Posts. You can also limit to only those people you personally know and can trust have access to your Facebook timeline and profile. To do this, click on Edit your Profile, Change Photo Privacy, edit your About Me, and lastly Details of your Friend List. As well, you can activate or enable Facebook’s Timeline Review feature to stop your friend’s tags to appear automatically on your timeline. Facebook will notify you every time you are tagged in the post as pending until your allow it manually on your timeline. To turn on the timeline review feature, go to Settings, Timeline, and Tagging, Review posts friends tag you in before they appear on your Timeline? next to Edit, and then Enabled. Do you have that one friend who keeps on bugging and harassing you every time on Facebook? The solution is simple, block them. They will not be able to see your Facebook timeline, profile, or any other posts. Not even in the Facebook search engine. To block your Facebook bullies, go to that person’s profile and click on the More button and choose Block. Go to Facebook’s Activity Log feature to review all the photos you posted including the ones you are tagged in as well the ones you share with the public. You can do this by going to your Activity Log, click on the Photos and Videos tab. Simply use Facebook’s View As feature to see what other users see on your timeline. You have an option to View as Public or View as a Specific Person. Whatever you will see on your timeline when using View As is exactly what other Facebook users see when they visit your timeline. There is also an option of changing your Privacy Settings to a more secure and private option to prevent non-friends and the public from accessing your sensitive Facebook information. Quickly go to Settings then click on Privacy. You can access the commonly used privacy settings by using Facebook’s Privacy Shortcuts. This feature can be accessed by clicking on the (?) question mark icon on the top right part of the Facebook site and then choosing the Privacy Shortcut option. If you want to see how private your Facebook account is, you simply run a Privacy Checkup. You will be able to see your personal information including the settings for other apps that you are using on Facebook. To access the feature, click on the question mark (?) icon on the top-right part of the Facebook site and then the Privacy Checkup option. Would you like to review the apps and websites where you used Facebook to login? Remember, these apps and websites have access to your previous information you ever shared with them. Once you are done with an app or website, it is important to deny their access to your Facebook information. To review these apps and websites with access to your information, go to Settings, Apps and Web sites. You can filter all the active and expired websites and apps and remove. This brings us to the end of our tutorial on how to protect your Facebook account privacy. 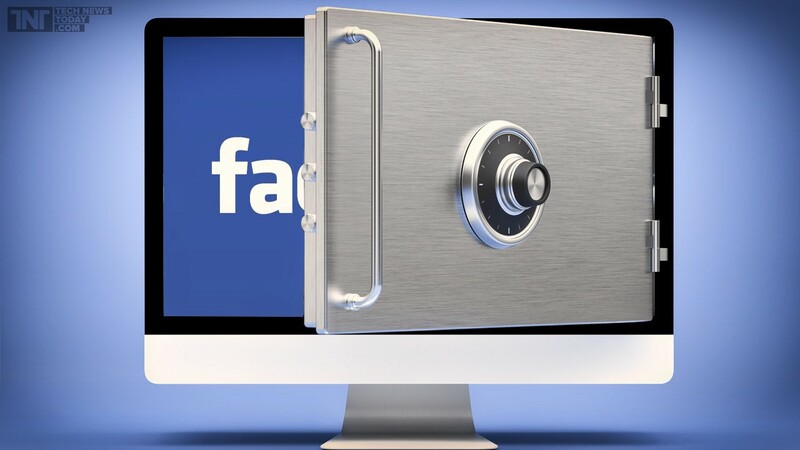 In case you have any other tips, clues or suggestions on how best to keep your Facebook account more private and secure, feel free to post them in the comment box.